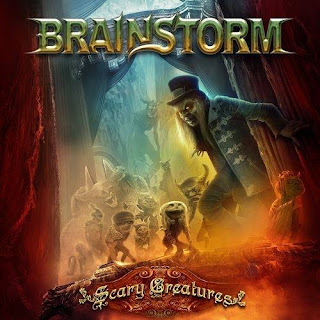 German band Brainstorm delivered their eleventh album last January 15, 2016 entitled "Scary Creatures" featuring their classic Power metal well known and appreciated by their fans, this is band very underrated, I honestly unknown the reason, it might be the fact that Brainstorm opted to play a merely traditional line of Power metal, if I have to mention few acts to make you become more familiar, I could name bands such Blind Guardian, Symphorce or Gamma Ray. 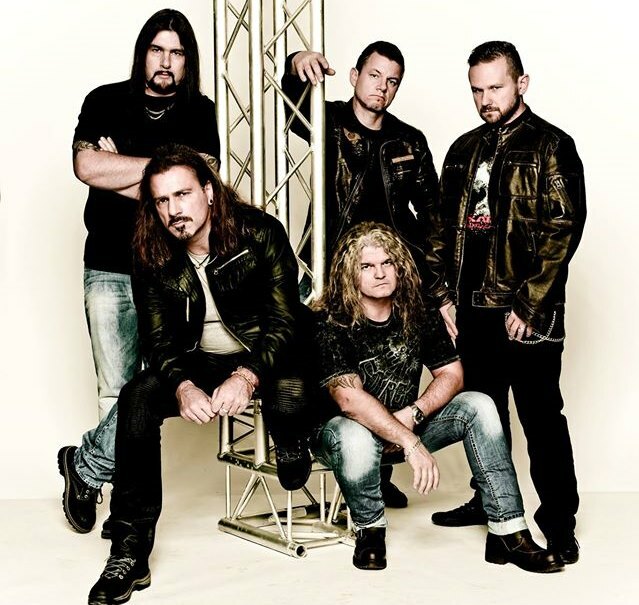 It is true that Brainstorm discography is wide but not always consistent, sometimes doesn't linger in you, because their own sound is simply like that, few albums that I could put in a safe place, will be "Ambiguity" released in 2000, "Soul Temptation" in 2003, "Downburst" from 2008 and "Firesoul" released less than two years ago, definitely "Scary Creatures" comes in this list too, why? because their sound is more bold, energetic and replete of solid riff and galloping rhythms, it have all you are waiting for in a power metal album, Brainstorm lineup has been solid for the last couple 5 releases, it's formed as follows Andy B. Franck (Vocals), Milan Loncaric (guitars & backing vocals), Dieter Bernert (drums), Torsten Ihlenfeld (guitars and backing vocals) and Antonio Ieva (bass), this could be the spark that lights their newest record. The first track in this album is "The World to See" open with a little orchestral intro before get into havoc with their genuine riff and cataclysmic double bass drum, while Andy B. Franck owns a powerful and unique voice he keeps in the halftone range, unlike other singers within the genre who prefer the high pitch vocals, "How Much Can You Take" follows with nicely and crushing riff, the drums draws a steady and solid pattern that allows the bass to rumble through the speakers, "We are..." here we can appreciate how simplicity can succeed with few riff, they effortlessly create a memorable track with catchy choruses, "Where Angels Dream"; Here, things are getting better and better, they speed up the pace to gain a contrasting sound compared to the previous tracks, the self titled album track is structured with grooving riff, "Caressed by the Blackness" with pretentious drums allows to build solid riff and a very neat rhythmic section by bass, creating a wall of grave tunes in the background, the last track is "Sky Among the Clouds" is exactly what you expect from a seasoned Power metal band, simplicity, melody and chorus, the CD limited edition digipak includes a bonus track titled "Lift Your Eyes to See", it’s powerful and does not disappoint at all, also this version comes with a DVD which was recorded at Turock, Essen (Germany) on April 5th, 2014, during their "Souls of Fire Tour". "Scary Creatures" certainly exceeds anyone's expectations, it might not be the greatest band with high pitch vocals, thunderous and vertiginous riff at full speed and all the glamour that precede many bands within the genre, No! They chose the opposite path and have walked steady and sure of themselves for more than two decades, if you decide to go with them, you will not regret it.